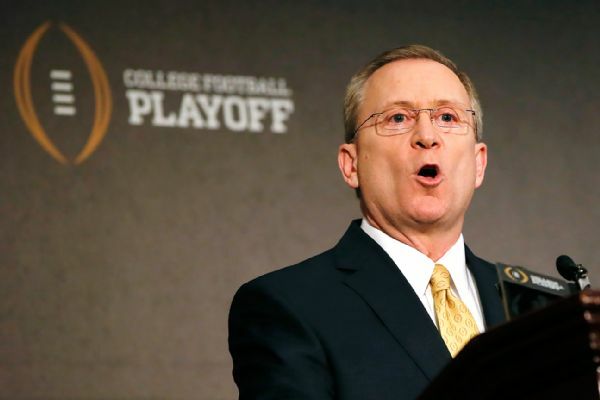 The Big 12’s inability to crown “One True Champion” cost them a bid to the inaugural College Football Playoff. TCU was dropped three spots after a 55-3 drubbing of Iowa State on Saturday in Fort Worth while Baylor moved up a spot after a 38-27 win over Kansas State in Waco. Oklahoma State traveled to Norman to face the 20th-ranked Oklahoma Sooners in this year’s Bedlam game. The Trevor Knight-less Sooners led throughout, and then only up 7 toward the end, Bob Stoops elected to re-punt to defending 5th-place runner in the 200m at the NCAA Indoor Track & Field Championships, Tyreek Hill. After fair catching the first one, Hill returned the 2nd punt over 90 yards to tie the game, forcing OT. Did I mention that Bob Stoops didn’t use his final timeout to even attempt at scoring on the last play of the game? Ben Grogan kicked the game-winning Field Goal for the Pokes after Hunnicut missed a chance for OU. The win knocks OU to 8-4, 5-4 and brings OSU to 6-6, 4-5 but bowl eligible for a school record 9th consecutive season. My complete Bowl Preview will be published next week.